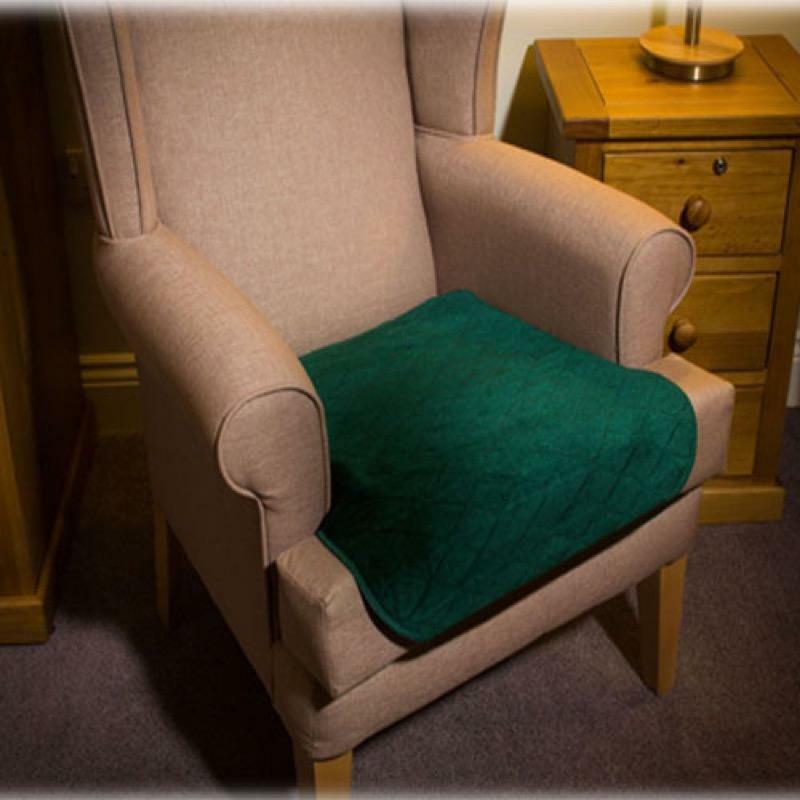 The Velour chair pad is ideal for those who suffer from incontinence as the pad absorbs approx up to 1.0 litre of liquid and has water proof backing for furniture protection. The pad is washable and available in 4 colours. The pad can be tumble dried on a medium heat setting. Can be used on chairs and wheelchairs. The Velour chair pad is ideal for those who suffer from incontinence as the pad absorbs approx up to 1.0 litre of liquid and has water proof backing for furniture protection. The pad is washable and available in 4 colours. The pad can be tumble dried on a medium heat setting. Can be used on chairs and wheelchairs. Can be used time and time again!! Popular in nursing homes and hospitals. Delivery of this product will be made directly from the our distributor in approximately 3-5 working days. The product is supplied with comprehensive user instructions.